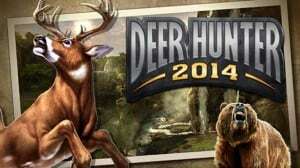 Deer Hunter 2014 is a FPS hunting simulator. 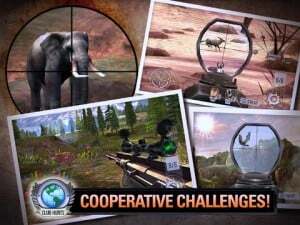 A very impressive FPS hunting simulator because the visuals it offers are stunning and they different environments and animals are rendered very nicely. So you will have more than 100 species this way. And different locations. You will be able to hunt in the Northwest of the US and in the Savannah in Central Africa. To make it even more interesting, you will be able to play along your friends in group hunts, travelling around the globe to hunt and collect rewards. The very hard objectives make it very hard for one person to accomplish them. 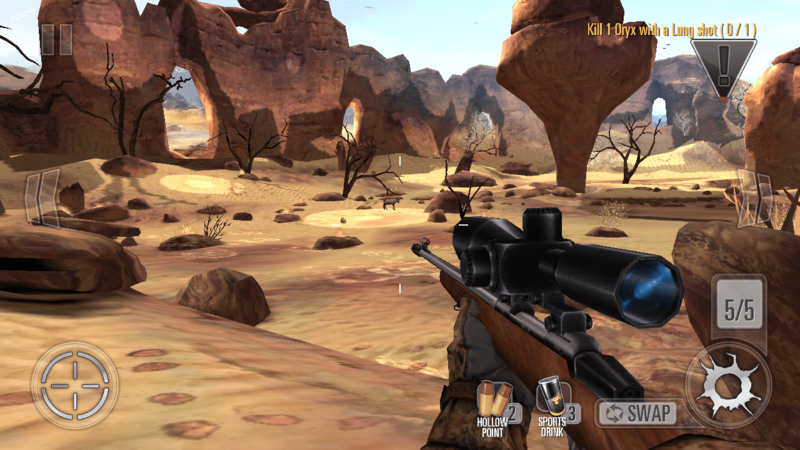 As this game progresses you will start with easier animals to hunt, such as deer. But as you progress, you will stumble upon much difficult game, such as bears or cheetahs. But bigger game requires bigger guns so this is why you can customize your weapons’ magazines, scopes, stocks, barrels and other components. You will create perfect killing machines. Google Play achievements and leaderboards will allow you to compete against your friends and other people. You will have to kill bigger animals and earn more trophies to beat your competitors in the race to become the best hunter. There are certain guidelines for every hunt. For example, the most common way to fail is after the first kill, by scaring away all the other animals. Every time, before you score the first kill you should think of your second and plan a future course of action. In this way you will be prepared and you will not waste the precious seconds you will have after you take action. Recommended upgrades before missions sometimes are not that relevant and missions should be attempted without making the upgrades. This is an excellent way to save money. Gold bars should be saved for more useful stuff and not wasted on things such as waiting times. It is very hard to earn so it should be spent carefully. Weaponry should also be developed and you should gain some experience before moving on to the hard missions waiting for you. And it should be developed in such a manner that will favor power as a steady aim can be developed through time. 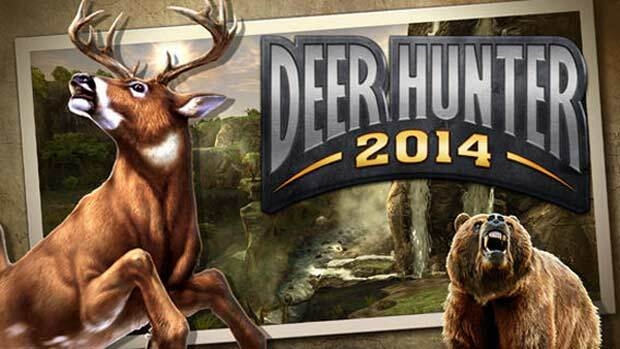 So if you enjoyed what you read about Deer Hunter 2014 then you should go ahead and download the game. And don’t hesitate to tell us about what you think of it.